If I were paying better attention, I would have noticed the faded CDT sign someone had written in permanent marker on the sign post. I was so pissed at myself for missing it the first and second time! I think I wasted a good 45mins. 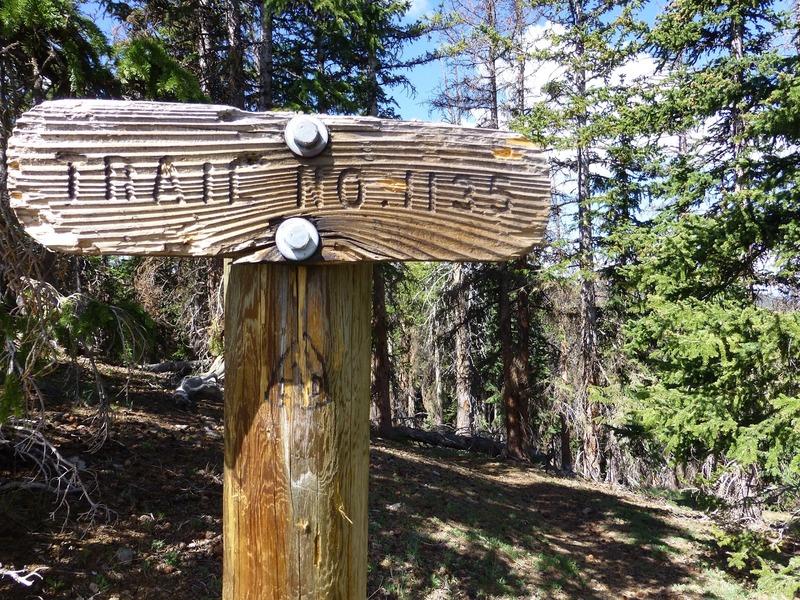 There are few official CDT blazes and they are usually written by hand by fellow hikers, but usually on the sign and not below it on the sign post. I wasn’t even looking there! This is the furthest I’ve gone before realizing I missed a turn. Normally, this would just be annoying, but now I had to figure out if Estero was ahead or behind me. I booked it down trail knowing the trail was going into switchbacks and I could maybe yell and he’d hear me. I hoped he’d notice my footprints weren’t there, but the terrain was such that it wasn’t obvious. I thought I saw his footprints and was pretty sure he was cruising ahead of me unaware that I was behind him. I started running down trail where I could to catch up. I told myself to be careful cause it’s easy to gain momentum with a pack on and lose control if you slip or stumble…well, that’s exactly what happened. I hit loose rock and slid and did a slow motion fall onto one of my knees…IDIOT! I scraped my knee and got up being more careful as I now humbly walked fast down the trail not running. Suddenly, another backpacker was walking up trail towards me and I asked him if he saw Estero. He said he just saw him 3mins ago and that Estero had asked the same about me. I picked up the pace and yelled for Estero and caught up to him just a couple minutes later. We then took an early lunch to avoid carrying extra water up the next climb. It was only 11:30am and I had enough stress to embrace the early lunch and hopefully hit the reset button on the day. The rest of the day was thankfully much less eventful. Most of it was road walking as we were on forest service roads. We hated this in New Mexico, but it was a welcomed break today! It was nice to cruise with little effort and just have conversation. There were still confusing turns and we had to double and triple check at intersections, but we got it figured out. The main concern was water as we knew it was slim pickings. We walked by many grazing areas for cows and had flashbacks to having to pull water from cow contaminated grounds. 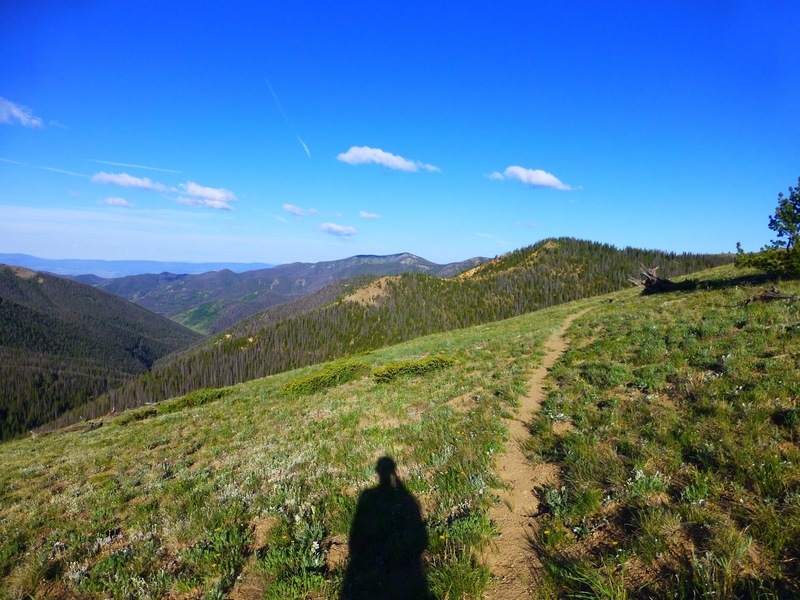 We noticed how sudden this change was as we were up on the divide this morning over 11,000ft and now we were road walking with cows at 8,000ft. 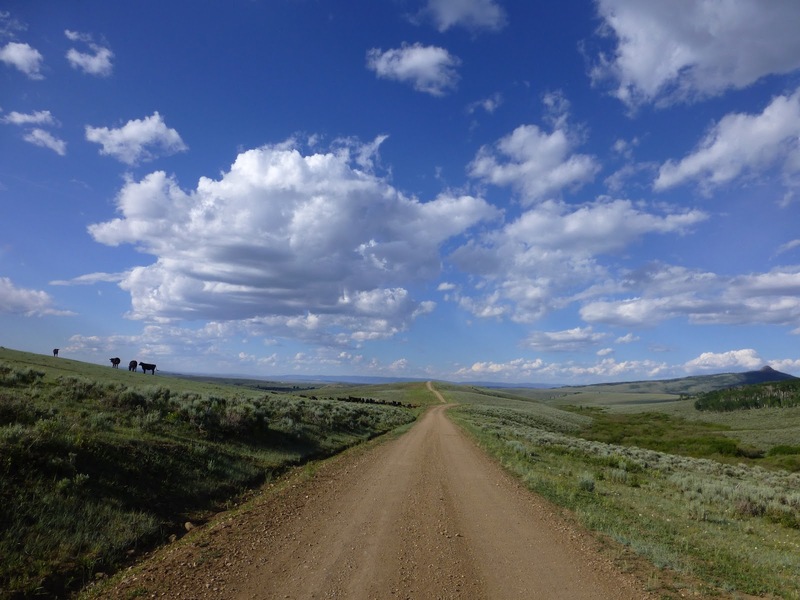 It hit us that Colorado was ending and that we are almost in Wyoming where we will once again have long road walks and long stretches between water sources. Here is our view with a large herd of cows on the left side. I’m excited that halfway through the day, my camera decided to work fully again. I’m thinking it may be altitude related…or just random, but I hope it keeps working! We ended up picking a beaver dam flow for water that seemed like the best of the unpleasant options. I carried it hoping not to have to drink it and we did get lucky right at the end of the day. We had a family with a small camper drive up just before we turned onto the busier road. I mentioned that we were looking for water and they kindly gave each of us a water bottle they had. Score! Long story short, we are camped off the hwy of CO 14 just 9mi from town in a less than ideal place. The grass is high, a barbed wire fence may have been involved, I am falling asleep to the buzz of cars zooming by, we may end up with wet tents due to condensation in the morning, and the mosquitoes were so thick that we had to eat in our tents. 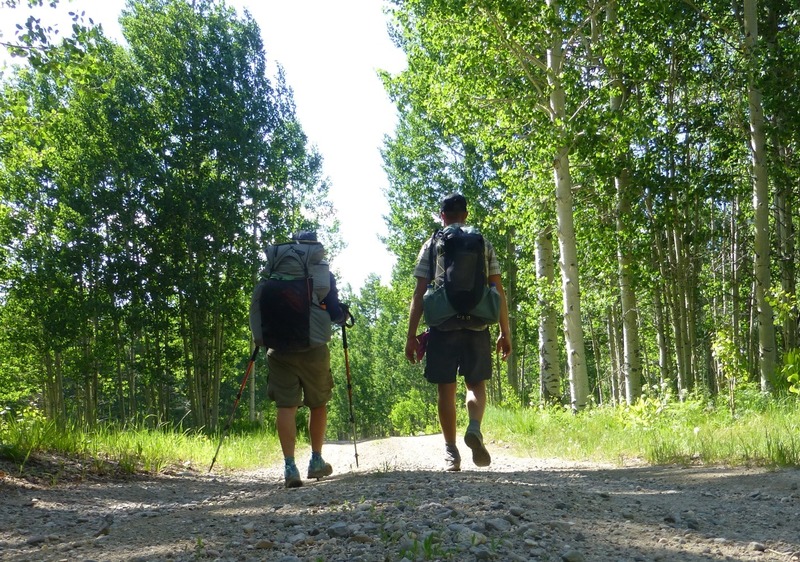 Good news is that I’ve officially done my first 30mi day on the CDT! Technically 32mi with my extra walking on the wrong ridge too! We were happy about that one and didn’t even feel tired at the end of the day. One more thing. Tonight I made the genius move of spilling a liter of water in my tent. Luckily, everything important was in a stuff sack and my sleeping bag was in my NeoAir which quickly functioned as an island for keeping things dry. My down coat got pretty wet and I was bummed about that. I give this tent credit though. The setup on the Zpacks Hexamid is such that I could quickly lift the floor of the tent and funnel the water to just go under the tent. Since the mesh goes under the groundsheet and it is like that intentionally to let rain run onto the mesh and under the groundsheet. Score one for the Hexamid! Town day tomorrow as we are only 9mi from the road that we’ll hit to hitch into Steamboat Springs. Yay! A full nero and a zero for the Fourth of July!